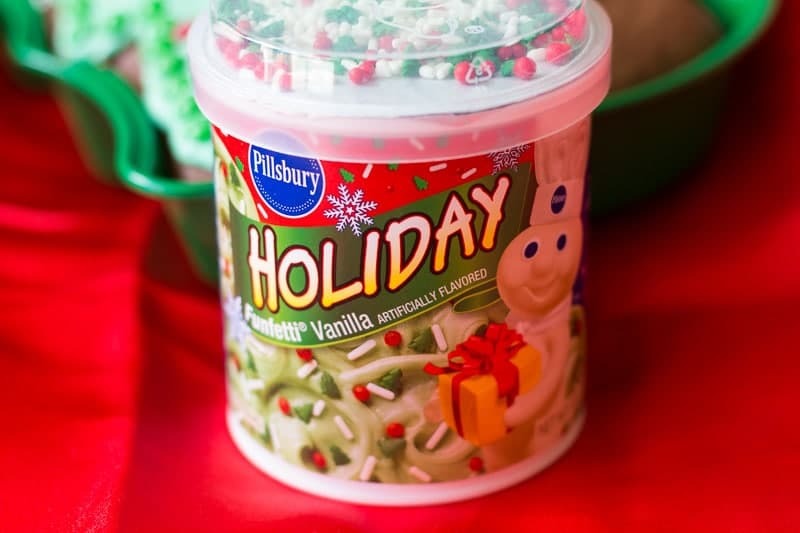 This Christmas tree cake recipe was sponsored by MARS, Pillsbury, and Ziploc. All thoughts and opinions are my own. 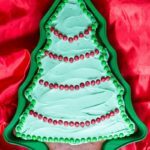 This easy Christmas tree cake recipe is simple enough for even a novice baker to pull off! 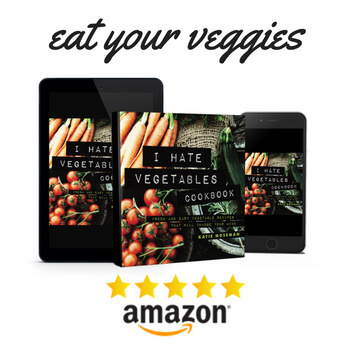 Make this recipe for yourself or to give as a lovely edible gift. The holidays are coming! Are you ready? Don’t worry. 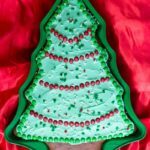 Even if you’re not quite ready, this festive Christmas tree cake decorating idea will put a jolly spring in your step. I truly enjoy all the holiday baking that goes on during this time of year, whether I’m the one doing the baking, or I’m just partaking of what some other baker has kindly created. I took baby steps. First, I baked my mom’s recipe for oatmeal cookies. Later, I tried a simple cookbook recipe for apple crumble. Eventually, I graduated to simple vanilla or chocolate cakes. 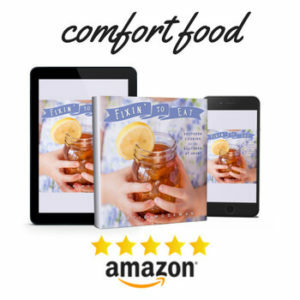 The point is that anyone who is willing to give it a try can enjoy the fun of baking homemade treats, even if you’ve never baked anything before. 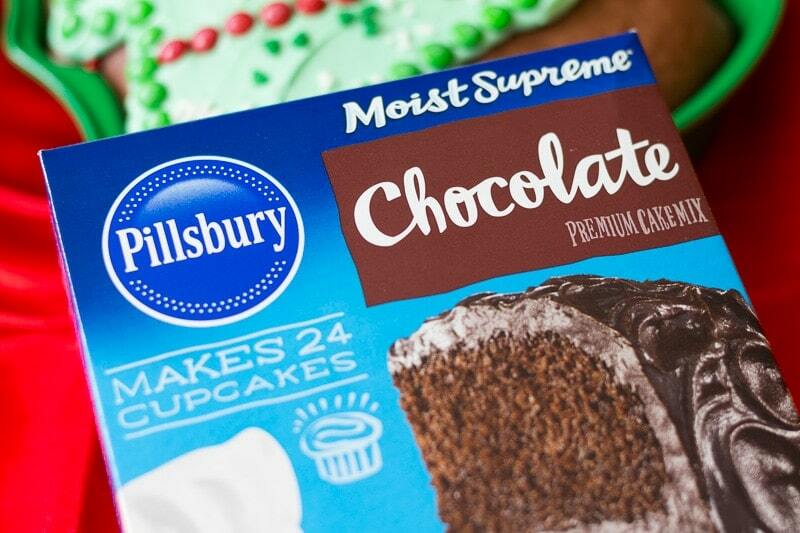 Using Pillsbury Moist Supreme Chocolate Premium Cake Mix and Pillsbury Funfetti Holiday Frosting makes the whole process easier. 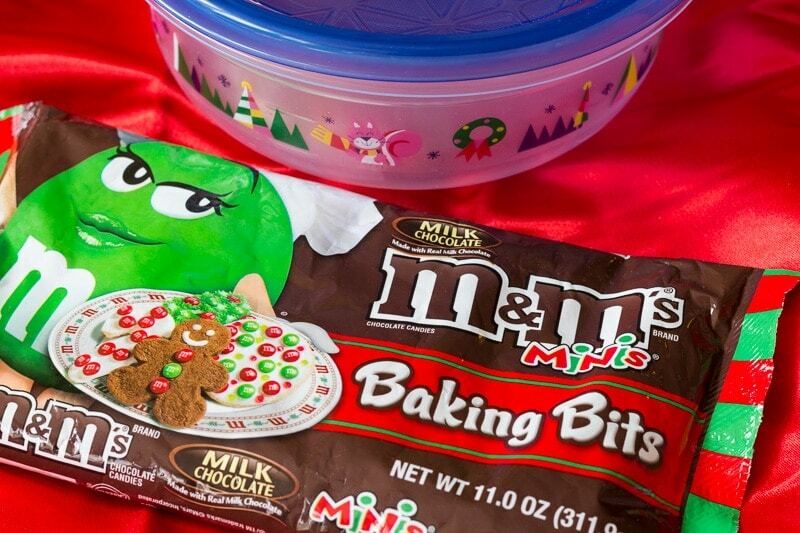 Plus, adding lots of M&M’s Holiday Minis is just plain fun. 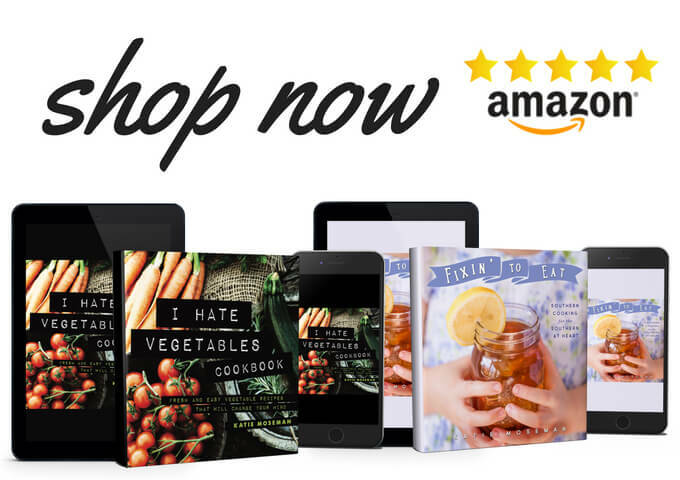 You can find these products at Target in the baking aisle or in the special holiday aisle. 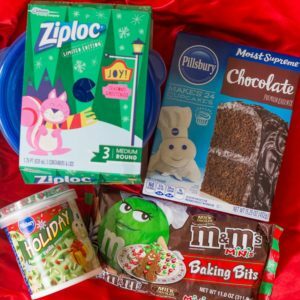 While you’re there, pick up some Ziploc Holiday 3ct Medium Round Printed Containers, Ziploc Holiday 15ct Green Slider Storage Gallons, and Ziploc Holiday Bags on the food storage aisle to help you store and tote all your holiday goodies. Save by using this Cartwheel offer! 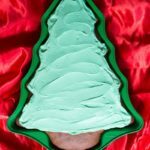 When I make a Christmas tree cake like this one, I usually frost it in the pan to make it easy to transport, while using Ziploc containers or bags to hold paper plates, napkins, and disposable silverware. It’s the perfect way to give a cake as a gift or to serve it at a holiday party—ready to serve and enjoy! Another idea is to use the Ziploc containers to hold your M&M’s candies for transport. Then, when you arrive, decorate the cake as a fun party activity. 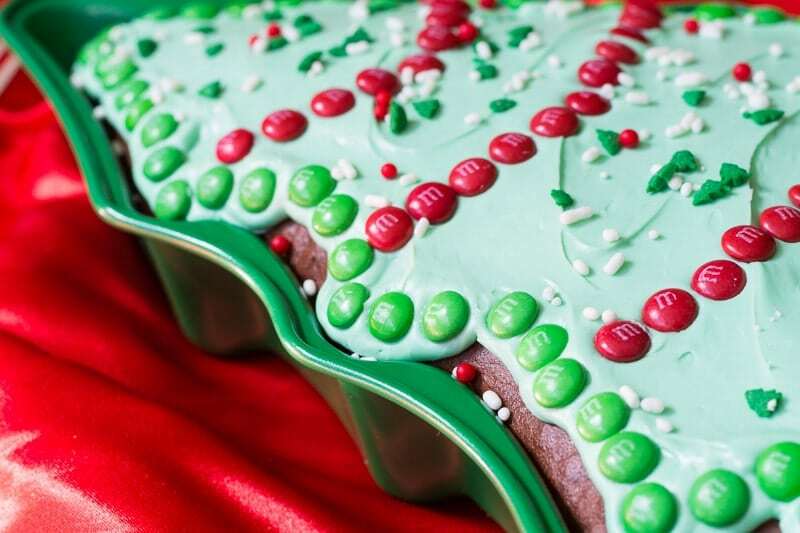 Very thoroughly coat your Christmas tree cake pan with nonstick baking spray, or butter the pan and flour it, before pouring your cake batter in. This will help the cake release from the pan when it’s done baking. Don’t frost a cake while it’s warm. Wait until it’s completely cool! 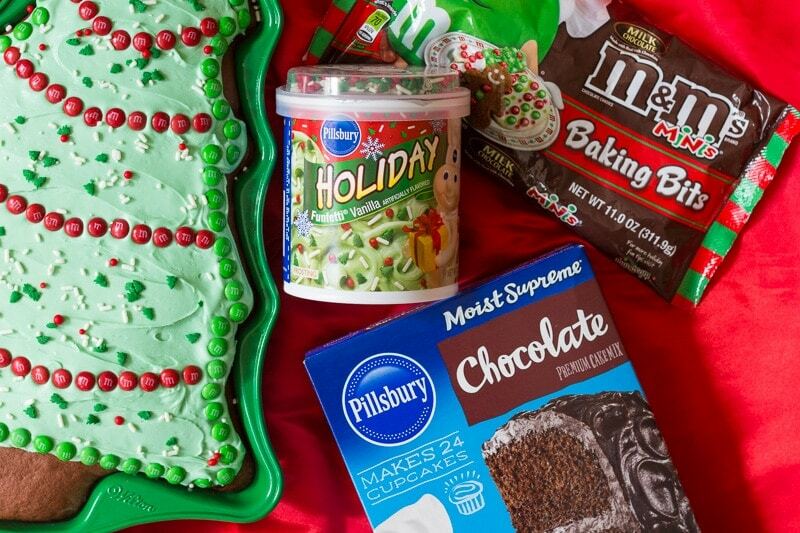 Enlist helpers to arrange the M&M’s Holiday Minis on the frosted cake. Kids will enjoy helping, and it keeps little hands occupied! 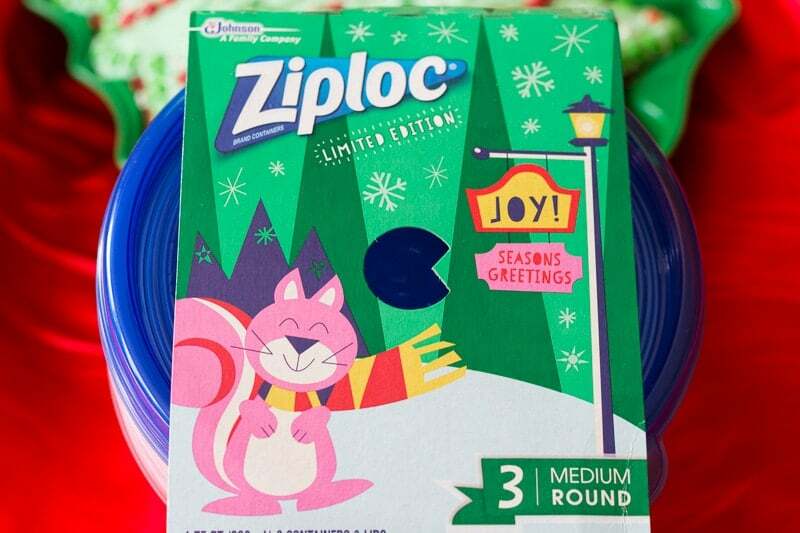 Pack small holiday-themed plates, holiday napkins, and some plastic silverware in your Ziploc bags or containers to take the holiday party on the go. 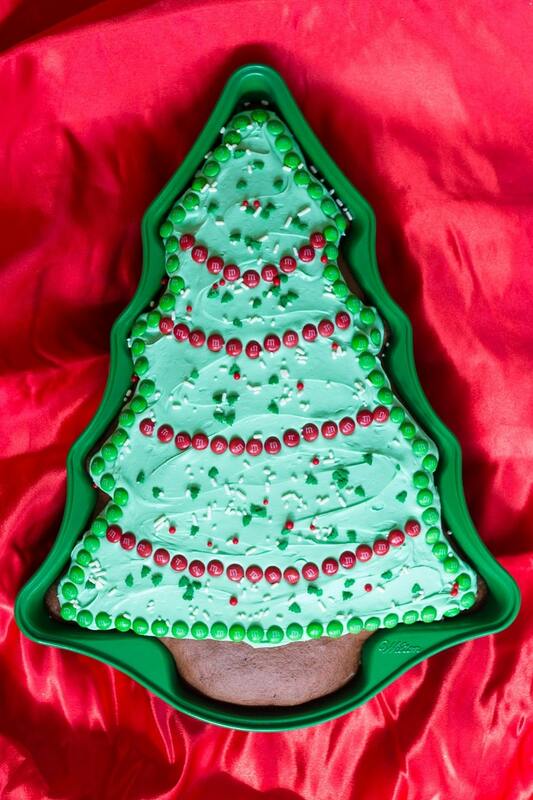 Bake and cool cake in the Christmas tree pan according to the package directions. When cake is completely cool, spread frosting on the cake almost (but not quite) to the edges, leaving the "trunk" portion clear. 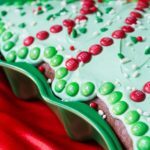 Make a border around the edges with green M&M's. Make lines of "tinsel" using red M&M's. Sprinkle on the Funfetti sprinkles as a finishing touch. To save on the products featured in this post, use this Cartwheel offer the next time you shop at Target! What a pretty Christmas Tree cake! My grandkids would love to spend the morning in the kitchen helping me make this. They love to help me cook. LOVE this! I am going to do this with my little man! This one is SO easy and the kids can do it and I won’t have to worry about him doing it! He can be as creative as he wants! Oh yum! Now this cake looks perfectly decorated for Christmas! This would be a fun craft to do with my nieces and nephews!! I love the way you decorated this tree. It came out so cute. I can’t wait to try this with my daughters for Christmas! This would be so much fun. 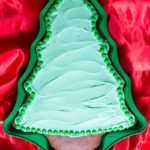 This is such a fun cake idea for the holidays!! I love this time of year so much fun decorating everything for the holidays and all the family time. What a cute cake for the holidays. I was just looking at fun holiday cake ideas this morning. I love how easy this one is. What a fun way to decorate a Christmas cake! I’m going to have to use this idea for this Christmas season! This is such a cute cake! This would be perfect to make with my daughter who loves to cook. How awesome is that! I am not good with baking and decorating but I really love this idea. This is great idea for a festive cake! Can’t wait to try decorating with M&Ms! What a gorgeous cake! This is amazing, I need to try decorating a cake like this! I love how pretty this cake is. It also looks simple enough for me to make. I *love* this!! Holly jolly indeed! I love it. This is a nice gift for neighbors and teachers.